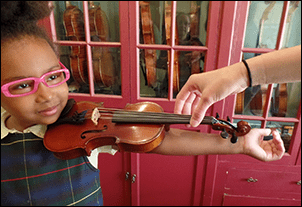 Our instruments are overwhelmingly approved by teachers for their quality and playability. 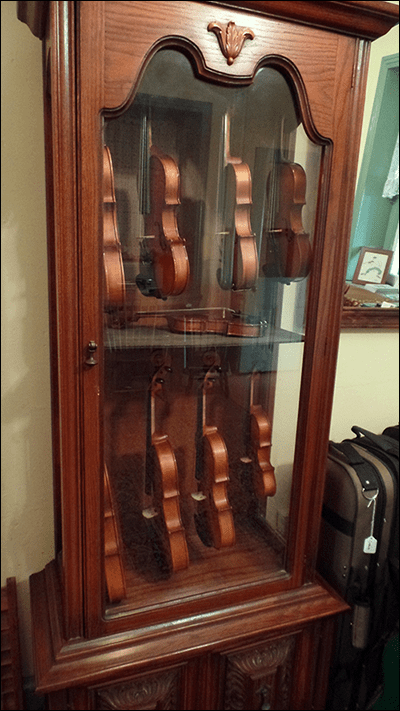 A step above the usual instrument for beginners, they have true ebony fittings and are set-up and maintained by our highly trained staff. Rentals begin as little as $20 per month. Please bring your child to be sized. If there are siblings who won’t be renting, we recommend that you bring only the child who is renting; this way we all get a chance to focus our attention on the new player. 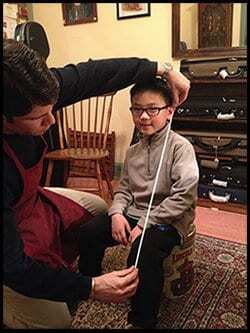 This also allows you to learn important information on how to teach your child to care for his or her instrument. Please expect the appointment to take a half hour. We look forward to helping you and/or your child begin this exciting adventure of music!